“Architecture is about people and as we’ve heard tonight, St. George’s too is about people, and the people that have gone before us here. But the architecture is also about the three dimensional form of buildings – about the joining of complex and subtle shapes in an honest and sophisticated way to form something that has a function. At the same time it is about all the details that go together to enhance that form and to tie all those functions together. And St. George’s Church is a classic illustration of this. With its distinctive Romanesque style of architecture, St George’s Church stands apart from the traditional mold of Paladin, Neo-Gothic or Gothic styles adapted on the more visibly illustrious churches like St Andrews’ Cathedral and the Church of St Peter and Paul. 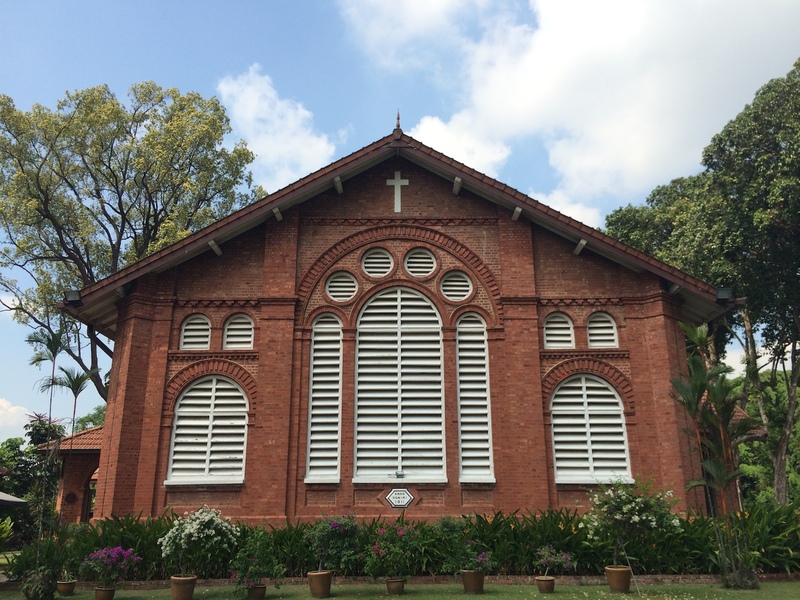 A short walk or drive up Minden Road brings into view the beautiful redbrick façade of the church that was built back in 1911, complete with louvers in-between to accommodate for our warm tropical climate. A notable lack of a traditional spire is visible as the designer of the church William Henry Stanbury, sought to adapt from the classic Christian basilica style that was first conceived by the ancient Greeks and perfected by the Romans. 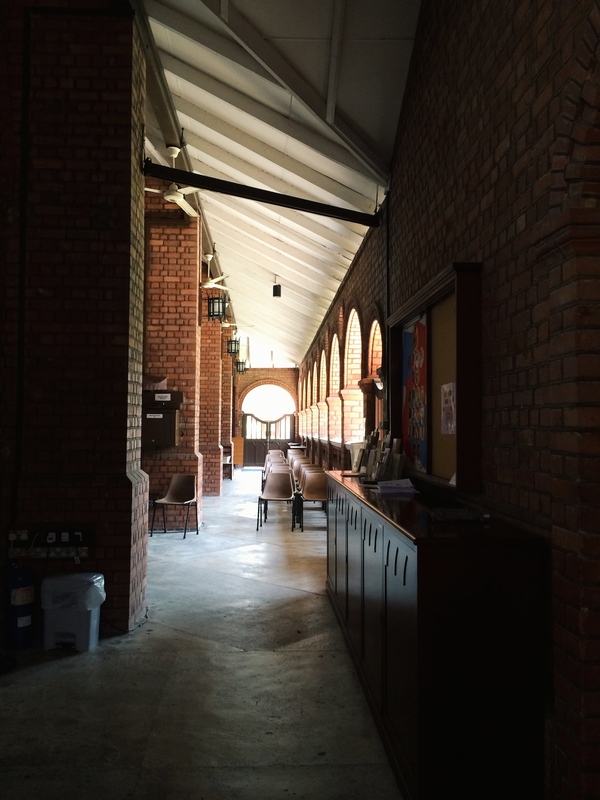 This style sees the church designed symmetrically like a long rectangular barn with a timber pitched roof accompanied by triangular gables at each end. A walk through the church towards the altar and stained glass windows is as Romanesque as it gets, with the numerous rounded arches doubling up as columns from one end of the church to another. The side of the church also reveals a unique Egg and Dart brick concept, where rows of eggs with arrowheads are carved into the brick, the gaps in between once again providing parishioners with a more comfortable environment. 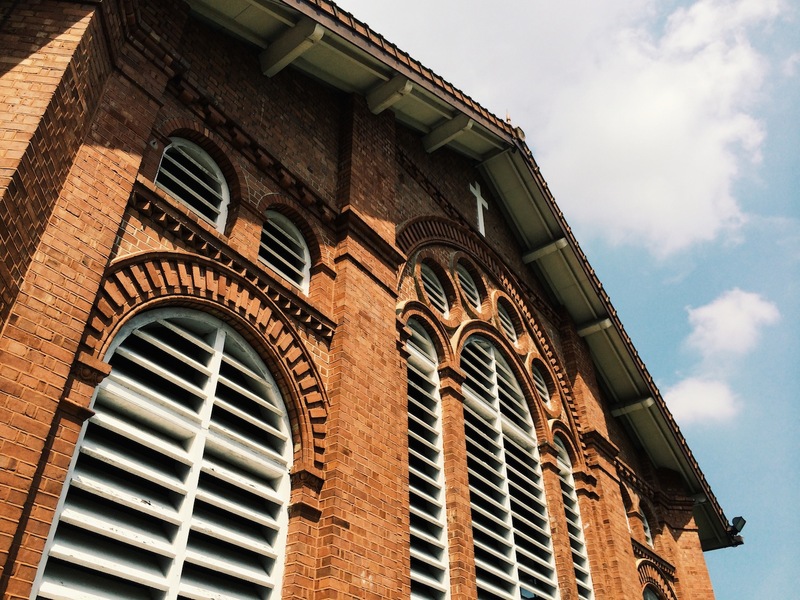 It’s architecture aside, the history of St George’s Church is an intriguing one that dates back to the 1860s when the then lay chaplain Major Malan saw the need for a church to help guide British troops stationed amongst the harsh conditions of the then Tanglin Barracks. An initial first church that was never found was said to be built between 1870 to 1890, while it was only in 1910 that work on the current site of the Church, then named St George’s Garrison Church, actually began. 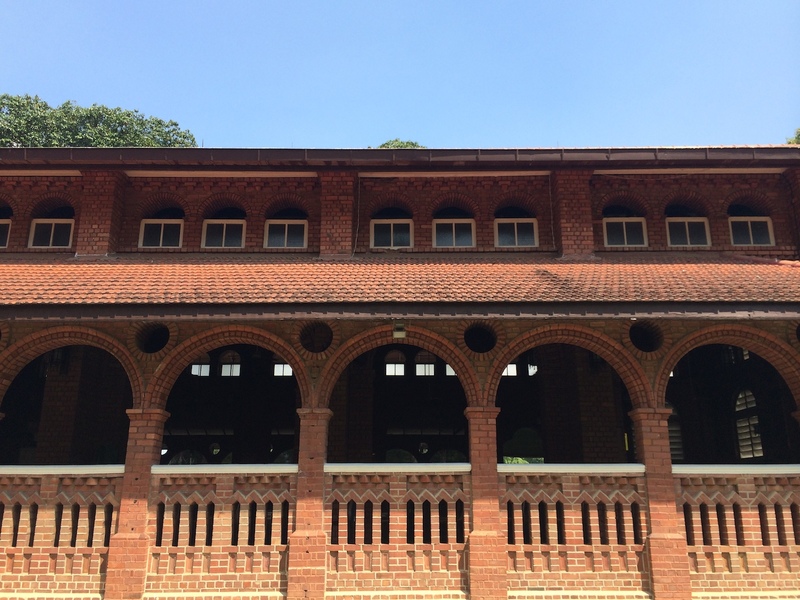 Along the way, St George’s Church survived through the Second World War, where the Japanese used it as an ammunition depot, while its chaplain quarters served as the home of one of the Japanese commanders. 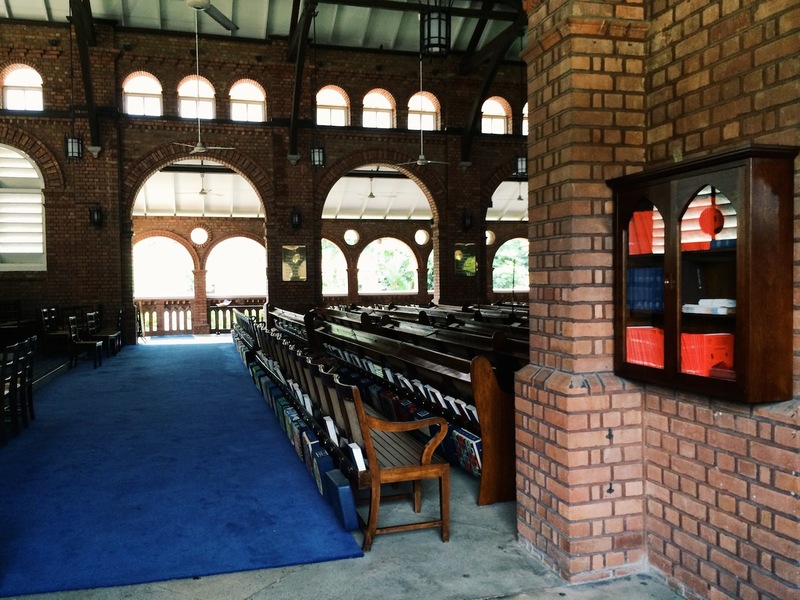 On 25 October 1971 upon the withdrawal of British Forces, St George’ s Church was transferred to the Anglican Diocese of Singapore thus becoming a civilian church and a few years later in 1978, it was gazetted as a national monument. It’s long history aside, St George’s Church survived through WWII, became a civilian church in 1971, before being gazetted as a national monument in 1978.